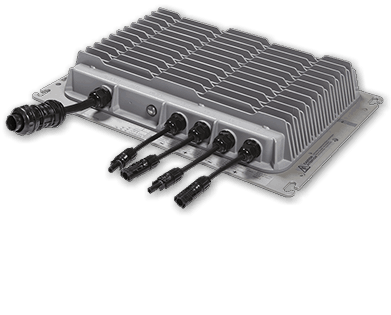 Outback ProHarvest offers a ballasted, non-penetrating rooftop mounting solution for Outback ProHarvest TrueString commercial inverters. 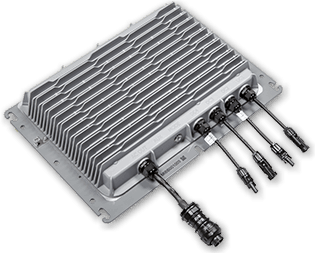 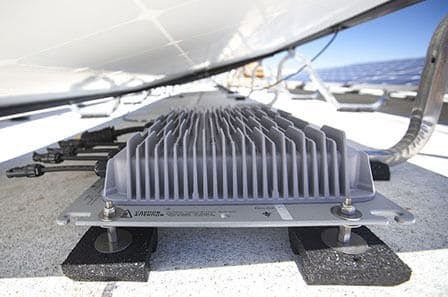 Each kit includes (4) mounting feet plus hardware to install an inverter under a rooftop array. 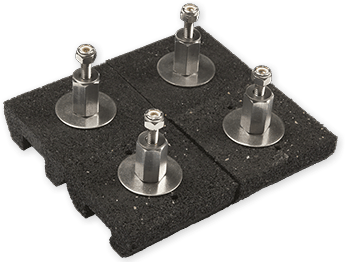 This roof mounting kit uses feet made from recycled rubber by PanelClaw and it is compatible with TrueString inverters.